Reliable power doesn’t have to cost a lot. Thanks to our large selection of used power generators, our team here at Woodstock Power can save you money and still provide you with top-quality, low-hour industrial generator sets that will give you peace of mind for all of your critical power installations. We have built our reputation on providing trust, integrity and vision, and we always take the time to understand your power needs before proposing the best solution. Woodstock Power Company is based out of Philadelphia, PA, specializing in buying, selling, and financing new and used commercial generators for business operations, industrial applications, buildings such as data centers and other commercial or industrial applications. We carry both diesel and natural gas generators ranging from 50 kW to 4000 kW in all major brands. Due to our regional location, we are able to provide quick, reliable services to local regions such as New York, New Jersey, Maryland, including other surrounding cities and we also operate nationwide across the U.S., providing generators and generator related services coast to coast. We are always in the market for used, surplus, and new generators ranging from 50 kw to 4000 kW. 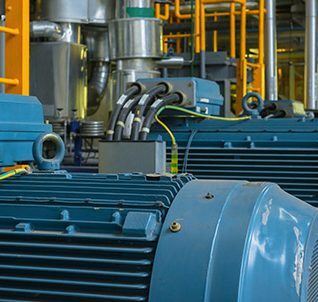 We buy used commercial generators, decommission, and remove them from your facility, then send them off to our warehouse for an in-depth inspection. Our generators are put through a rigorous inspection, test, and maintenance process to ensure that our generators are fully serviced, load bank tested, and ready to run. We are also always in the market to purchase new, surplus, and rental commercial generators so that we can provide a large inventory that fits the needs of all business types. We not only sell the used commercial generators that we buy, but we also sell new, surplus, and rental generators for business operations, industrial applications, and other commercial applications. Our generators are a cost-effective and time efficient solution for businesses, as our generators are only a fraction of the cost when buying new and require no lead time for delivery. You get many choices with Woodstock Power, including brands like Caterpillar, Kohler, Cummins, John Deere, Waukesha, Asco, Katolight, SquareD, Trane, York, Liebert, BAC and many more. If we don’t already have what you’re looking for, we’ll check our network and find the exact equipment you need to keep the power on. Over the years, we have sold power-generation equipment to thousands of clients across the country. These include customers in a wide range of fields, such as hospitals, K-12s, data centers, property-management groups, power plants, manufacturing facilities as well as other mission-critical loads where a power outage isn’t an option. Contact our team today to discuss your power-generation equipment needs or to sell us your used equipment, and discover all the benefits of working with an industry leader like Woodstock Power.